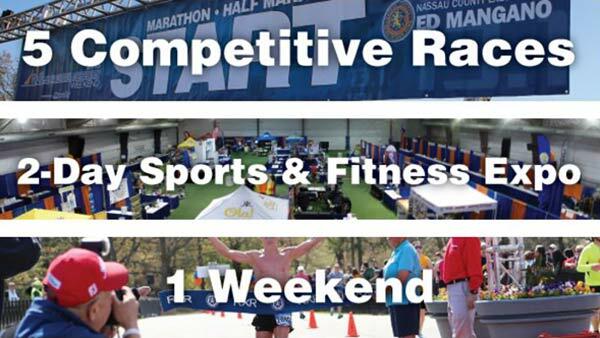 Five Races and a Sports and Fitness Expo: 2016 Long Island Marathon week! NEW YORK -- Five races, and a two-day sports and fitness expo: It's a full weekend of fun and competition at the Long Island Marathon - and race week kicks off April 24th! It all starts with a 5K race that's free for Marathon, Half Marathon and 10k race particpants. Then, beginning with the Sports & Fitness Expo on Friday, April 29, 2016, all of the Long Island Marathon Weekend events take place in the area of Eisehower Park in East Meadow and the Mitchel Athletic Complex, located next door in Uniondale.